"Because opioid overdoses may occur in public bathrooms, business managers and staff unwittingly become first responders. Providing training to service industry employees on how to respond to an overdose and administer naloxone will help us save lives," says lead author Brett Wolfson-Stofko, a research scientist at National Development & Research Institutes and affiliated investigator with CDUHR. A previous study by this CDUHR research team found that 58% of New York City business managers encountered drug use in their business's bathroom within the past six months, and 14% encountered someone who was unresponsive, presumably due to drug use. However, when faced with someone who has overdosed in a business's bathroom, research shows that employees are unsure how to respond. Calling 911 for a medical emergency can elicit a quick response—roughly seven minutes in New York City—but brain damage can occur in as little as three minutes after someone stops breathing. This time frame is pertinent because employees are often unaware of how long the person has been unresponsive and the increasing presence of fentanyl, a fast-acting opioid that has become more prevalent in street heroin, has made quicker response times even more essential to survival. Following the training, participants had significantly more knowledge about opioid overdoses, as well as more positive attitudes about their competence and readiness to intervene in the event of an overdose. One participant reported "feeling confident and equipped to be an agent in saving someone's life" and another said addressing an overdose "seems a lot less scary now." Many employees believed that it would be beneficial for staff to be trained as part of company policy—similar to how employees are trained on food safety. "We need both businesses and organizations providing naloxone training to be proactive. 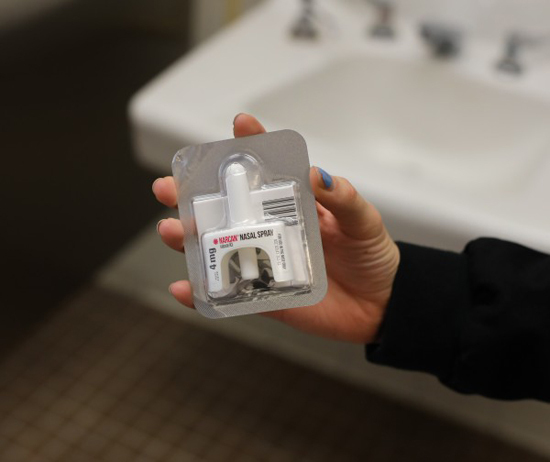 I would encourage businesses interested in overdose response and naloxone administration training to contact either their local health department or local harm reduction agency," Wolfson-Stofko says.